You may have heard of inheritance disputes more commonly overseas but it does happen in Singapore too. While there are many other examples, here’s a summary of 7 cases of inheritance disputes that happened in Singapore. Prepare a will for peace of mind! It is a declaration by a person making a will (i.e. the testator in the case of a male or a testatrix in the case of a female) in accordance with the formalities required by the law of the intention of the person making it with respect to matters which he wishes to take effect upon or after his death. In other words, it is his last instructions as to how he wishes his property to be distributed in accordance with his wishes. Anyone who is 21 years old and above and is of sound mind can make a will. Even deaf and dumb persons, visually handicapped persons and illiterates can make a will. However, it is advisable to consult a lawyer as there are formal and legal requirements to be followed for the will to be effective or his estate will be distributed in accordance with the intestacy laws. A Muslim can make a will too. However, he cannot dispose of more than one-third of his net estate as it contravenes the rules of succession under Islamic law. A will is normally made for the purpose of how the testator/testatrix would like his/her property to be dealt with. For example, the Testator may wish to allow his wife and children to continue living rent-free in his property until his wife passes away or his children are grown up and married or he may wish to have the property sold and net cash proceeds to be distributed to his beneficiaries to enable them to buy their own properties. It may be made for the purpose of appointing executors or other persons whom he knows will faithfully and honestly manage his estate according to his wishes after he has passed away. In this respect, he can die in peace knowing that his executors would deal with his estate in accordance with his wishes. He can also appoint guardians to take care of his children who are still minors in the event they become orphans. He can also give instructions to his executors concerning his funeral rites, burial or cremation. This can be stated in the will but must be disclosed to his executors as more often than not, the sealed will is often read only after the funeral. The will takes effect after a person passes away. Thus, his will can be revoked or altered during his lifetime as long as he is still alive. A properly prepared will can help you in four ways. Firstly, it ensures that your estate is properly distributed to the people most important to you. In general, your estate refers to the assets that you own – such as the properties, stocks and shares among others. If you pass away without leaving a will, you will be considered as having died intestate, and your estate will be distributed according to the nine principles of the Intestate Succession Act – which gives your spouse and children priority when it comes to distributing your estate. Only if you do not have children, then your parents and your spouse each get half of your estate. If you don’t have children, and your spouse and parents have passed on, then your estate will be distributed to your siblings and their children (if your siblings have also passed away). If you do not have children and your spouse, parents, and siblings have passed away without having had any children, your estate will be distributed to your grandparents, assuming they are still alive. Otherwise, your estate will be distributed and divided amongst your uncles and aunts. Only when all these conditions have failed to be met, will the government take over the entirety of your estate. Take for example, a thrifty bachelor, aged 89 passed away without leaving a will. He owned a 3-room HDB flat and a few fat bank accounts of which no one was aware. He had ten siblings, three of whom had remained single all their lives and had passed away before the deceased. Two siblings live in China but the deceased had since lost touch with them. Four married siblings had since passed away, leaving behind three children each. The deceased’s sole surviving sibling decides to apply for letters of administration so that the deceased’s estate can be distributed according to the intestacy laws. Imagine the dilemma he will be in as he has to trace his missing siblings in China, his 12 nephews and nieces (whom he hardly kept in touch over the years) before the court will grant the letters of administration! A simple will would have saved the administrator all the unnecessary stress, legal fees and money. Hence, if you should have any special instructions or requirements, you would need to indicate it accordingly in your will. For instance, a will enables you to leave some money behind for your elderly parents, even if you have a surviving spouse and child. Or perhaps you would like to leave behind your cherished vinyl records for a good friend or your sibling – then a will would also provide you with that flexibility. But if you have people that you would like to deliberately leave out of your will, you always have the option of leaving them with just $1! While having a child can be the happiest moment in your life, there is the accompanying fear of dying before your child has grown up. In such a situation, you would want to choose a trustworthy person whom you know would give your child the best possible environment to grow up. For instance, in the absence of a will, the Courts may appoint one of your siblings as the legal guardian of your children – even though you know another sibling would be better suited to caring for them. With a will, you can specifically designate someone to look after your children – even if that person is your close family friend! However, you must obtain the consent of the proposed guardian or he can refuse to act as the guardian upon your death if he has not been informed beforehand. Imagine, for a moment, that you have built up a fairly successful business of your own, and you’d like to step back from the day-to-day work of running the business so you can pursue other matters, but you still want your business to succeed. In such a situation, you’d appoint a deputy or an agent to make decisions and act on your behalf. Ideally, this deputy/agent should have a close familiarity with your wishes and philosophy so that he/she can continue to execute your vision for the company in a manner that you prefer. Similarly, when it comes to choosing someone who will take charge of our estates and distribute them fairly in a manner according to our wishes, we would also want to choose a person who is very familiar with your wishes and philosophy in order to execute the instructions of your will. Such a representative is also known as an executor of your will, and he/she is responsible for ensuring that your beneficiaries receive what they are entitled to. In appointing someone to be the executor of your will, it is advisable to ensure that the consent of that person is obtained and your wishes or directives are fully communicated to him. If you do not appoint an executor in your will, the Courts may appoint someone related to you (e.g. your next-of-kin, your spouse, or a sibling) and they might not be familiar enough with your wishes to execute them, or responsible enough to manage your estate diligently. In the emotional aftermath of your passing, it can be difficult for family members to focus on ensuring that your funeral arrangements are looked into. Which is why having a will that clearly states your preferred funeral rites can help to prevent misunderstandings and conflicts – especially since most of the arrangements will be executed by the undertaker. For instance, you may prefer to be buried rather than cremated – possibly due to personal or religious beliefs. Maybe you have a preference on where your final resting place ought to be, or maybe you have very specific instructions about your funeral – like having a big party to celebrate life instead of mourning. In all these cases, you can make specific and detailed provisions in your will. However, these must be fully communicated to your executor as the will is only read after the funeral and burial. Most important, the location of the will must also be communicated to the executor so that he can retrieve it upon your death. There is no point going to the trouble of making a will when no one knows the whereabouts of it or a worse scenario would be you have made so many wills that the executor has the trouble of locating them and trying to figure out which is the final will! Have a question on writing a will? If you are looking to write a will or have some questions on it, you can request a quotation with Daisy. Alternatively, you can also get a Quick Consult with one of our practicing lawyers. With quick consult, you can check out in minutes and for a transparent, flat fee of S$49, the lawyers will call you back on the phone within 1-2 days to answer your questions and give you legal advice. This article is written by Daisy Tay from Crossbows LLP and edited by Tang Chee Seng of Asia Law Network. 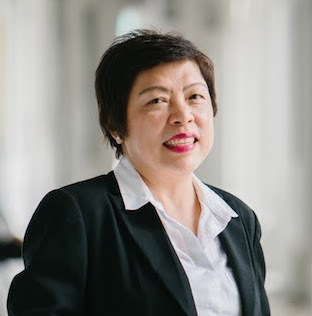 Daisy was admitted to the rolls of Advocates and Solicitors in Singapore in 1995. She is also a Commissioner for Oaths. Daisy conducts free legal clinic at the Dover Park Hospice. In matrimonial matters, Daisy’s patience has endeared her to divorce clients because she believes that the client’s needs are paramount. Her client is never left alone to walk the path of divorce.